For more than two decades, Gasworks Park was the place to watch an incredible Independence Day fireworks show. One Reel, the company who produces the event announced that there will be no Family 4th and Lake Union this year. Tomoko Moriguchi Matsuno, president of the One Reel Board of Directors wrote this letter on ChaseFamily4th.org. Since 1988, One Reel, the Seattle not-for-profit arts organization of which I am Board President, has been proud to produce the cherished Independence Day celebration and fireworks show, the Family 4th at Lake Union. This day of free family entertainment and a dazzling fireworks display has been, for more than two decades, an important time for us to come together as a community and celebrate this great country. As a non-profit organization, One Reel’s core mission is to produce arts and cultural events that engage and enrich our community, but we cannot do it alone. 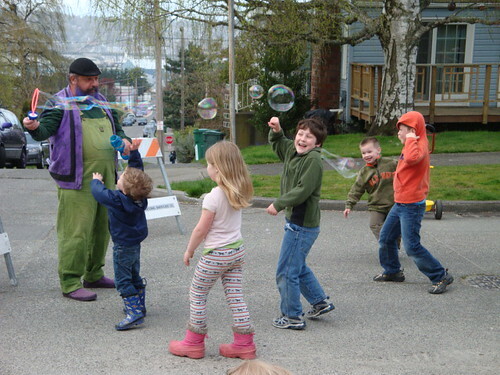 You may not realize this free civic celebration has been an annual gift to Seattle made possible only through the generosity of a corporate sponsor who underwrites the cost of the event. One Reel wishes to extend a very special thank you to the sponsors we’ve been fortunate to work with over the years, including Fratelli’s, Cellular One, AT&T, WaMu and Chase. For the past 15 months, One Reel has worked tirelessly to secure a title sponsor for the 2010 Family 4th at Lake Union but, regrettably, we were not able to secure one in time to proceed with this year’s event. For that reason, it is with a heavy heart we announce there will be no fireworks or festivities at Gas Works Park this year. We understand the disappointment you must feel; we feel it too. However, I can assure you that One Reel is already hard at work searching for a new title sponsor who shares our commitment to presenting this beloved community event in Seattle next year, and long into the future. As always, One Reel remains dedicated to providing you with premier events—from the Family 4th at Lake Union, to Bumbershoot: Seattle’s Music & Arts Festival, to Teatro ZinZanni—that showcase the talent, artistic diversity and integrity of our great city. Thank you, Seattle, for your ongoing support. We’d like to thank everyone—from our generous past title sponsors, to the City of Seattle, to event suppliers and on-site vendors, to more than 5 million patriotic revelers over the last 20 years—all of whom have made this event such an iconic holiday tradition. We look forward to seeing you next year at Gas Works Park for the Family 4th at Lake Union. President and CEO Uwajimaya Inc.
Did anyone witness a hit and run? Suzanna sent us an email last night to ask if anyone witnessed a parked car getting hit in front of Cafe Ladro Friday evening. I was parked in from of Cafe Ladro on 36th tonight during the NCAA finals and someone apparently drove by around 8pm (very fast) according to the homeless guy on the street -and hit my side view mirror off and kept driving. If anyone saw anything or has any more information, send us an email to tips@fremontuniverse.com. We’re happy to officially announce the launch of three new neighborhood news sites in our community network here in North Seattle: Maple Leaf Life, Wedgwood View and My Wallingford. This is Next Door Media’s first expansion since the network grew from My Ballard to a total of five sites a little more than a year ago. Each of the new sites is edited by journalists who live in their respective neighborhoods: Mai Ling Slaughter and Mike Ullmann in Maple Leaf, Wayne Wurzer in Wedgwood and View Ridge, and Marina Gordon in Wallingford. And each share the vision of a community-powered approach to neighborhood news. If you know someone who lives in the new neighborhoods that might be interested in checking out the new sites, please let ’em know! The Woodland Park Zoo has euthanized the oldest animal living at the zoo. 47-year-old Gertie the hippo has lived at the zoo since 1966. She was not only the oldest animal living at the zoo, it’s believed that she lived at the zoo longer than any other animal in the zoo’s 110 year history. The decision to euthanize Gertie came after her health had been declining over the past year because of her age. Within the last week, the 5,000 pound hippo’s condition worsened and her ability to move became more challenging and her discomfort was more apparent. “We could no longer medically manage her pain and we had to follow her cue that the quality of her life was becoming seriously compromised,” said Dr. Darin Collins, the zoo’s director of Animal Health. “Therefore, we had to make the difficult, but humane, decision to euthanize her.” The life expectancy of a hippo in the wild is 45 years. 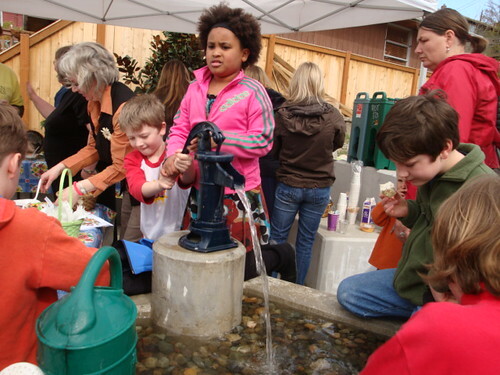 Woodland Park Zoo will be hopping with activities during Bunny Bounce on Saturday, April 3. 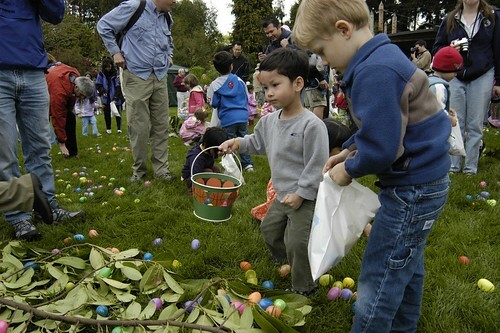 Egg hunts begin at 9:30 a.m. for children ages one to eight. In support of the zoo’s conservation efforts, kids are encouraged to bring their own basket or bag for collecting eggs. However, there will also be a limited number of bags for egg hunters without one. For the health and well being of zoo animals, candy will not be placed inside the eggs – egg hunt participants will receive their treats as they exit the zoo. Cost to attend Bunny Bounce is free with zoo admission. For hours and more information, visit the zoo’s web site here. Did you lose your iPod? es writes in the forum about an iPod that was found on the Burke-Gilman Trail between Fremont and the U District last Friday. We found one, if so respond with your email and I’ll email you to verify it is yours. You’ll need to provide your name (the ipod had the users name in it), and the color and type of ipod and we will return it. If you think the music player belongs to you, respond to the post here. Beginning Thursday, April 1, the Seattle Public Library begins its “Books for Bikes” program to encourage children to read. The program, sponsored by the Masonic Doric Lodge No. 92 in Fremont, invites children in first through third grade to read books for a chance to win a bike. For every three books they read between April 1 and June 3, participants will get to enter their name once in the drawing. Each entry will require a short oral book report to a librarian. 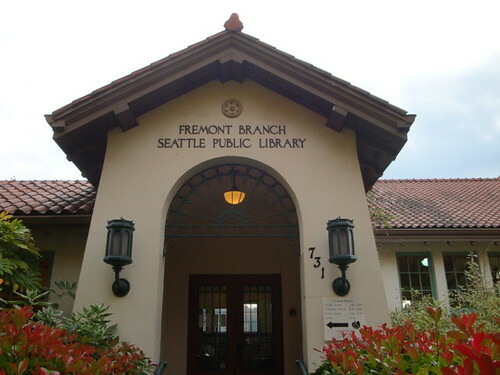 The celebration and drawing will take place on Saturday, June 5, at 4:00 p.m. at the Fremont Branch (731 N. 35th St). One girl and one boy will each win a bike, helmet and lock. Winners must be present to win. All participants will receive certificates of accomplishment. For more information, call the Fremont Branch at 206-684-4084. OK, so this isn’t really Fremont, but with weather like today (highs around 60) you may be heading to Green Lake for a little exercise. While you’re there, pick up a free cone from Ben & Jerry’s (7900 E. Green Lake Drive N). Today is their annual Free Cone Day from noon until 8 p.m.
A special Front Porch Theater reading of Clifford Odets’ play “Paradise Lost” is being hosted at History House (709 N. 34th St) this Wednesday, March 24, at 6:00 p.m. The free event is open to the public and is an interactive and entertaining reading of Intiman Theatre‘s 2010 season-opening play. Front Porch Theater is an ongoing, county-wide series in which scenes from classic plays are read out loud by volunteer readers, followed by a moderated conversation (open to all attendees) about how the story and its ideas resonate today. There will also be a raffle to win a pair of tickets to see Intiman’s staged production of the play, which is running now through April 25. For information on hosting or participating in Front Porch Theater, contact Zaki Abdelhamid at 206-204-3294 or email zakia@intiman.org. After nearly six years of community efforts and planning, the Hazel Heights P-Patch opened today to a warm celebration. Dozens of people, including neighbors and elected officials, turned out to celebrate the opening of the site at NW 42nd St and Baker Ave NW. A highlight of the P-Patch is an 8,000 gallon irrigation water cistern that will capture rainwater from the roofs of the two nearest homes. 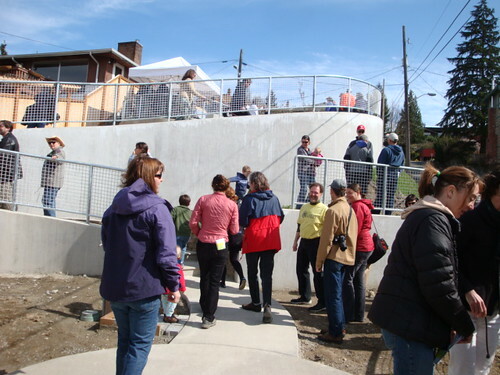 The rainwater system and improved alley is a demonstration project to help reduce storm water runoff pollution into Puget Sound. One of the nineteen plots, as well as several on-site fruit trees and vines, will be maintained by volunteers to provide fresh produce for local food banks. A beehive will be kept by a neighborhood beekeeper on the slope’s south side. 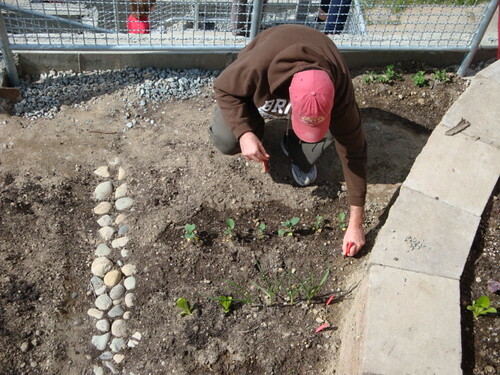 To stay updated on upcoming events at the Hazel Heights P-Patch, you can follow along on their blog.